The Best of Two Worlds (1976) The interpretations are also enhanced with a beautiful and soft voice of Miucha and cool arrangements that also remind to other João's album that consist basically of João's voice, guitar and percusion, here accompanied by Miucha and Getz. This album was recorded in 1977 and this one with Miucha is another strike of genius. 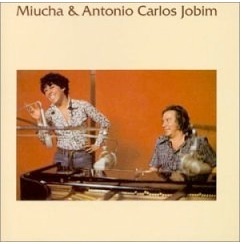 Here, Jobim plays and sings with Miucha two songs from his own songbook along with works from other Brazilian top composers like Chico Buarque de Hollanda (who joins them on three songs), Caetano Veloso, Ary Barroso and Vinícius de Morais. Miucha's voice is at its best and everybody seems so relaxed you wish you were there. In fact, this is one of those albums where you can feel the deep spirit of love and friendship between all the people involved. This live album is a milestone. Sharing the same stage we find four great names in Brazilian music. 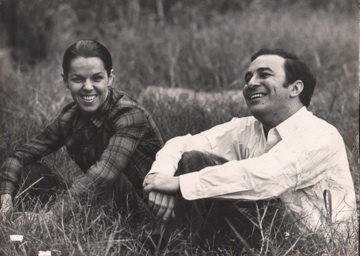 The first is Miucha, Chico Buarque's sister and Joao Gilberto's former wife. She had just recorded an album with Jobim, joining her sweet voice to his delicate piano. 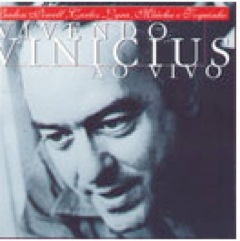 Vinicius, who is acclaimed as the most important poet of Brazilian music, has written several wonderful songs, among them: The Girl From Ipanema, How Insensitive, and No More Blues. Toquinho's youth and talent as a guitarist were the perfect complements to Vinicius' poetry. About Jobim... you may be interested in listening to him playing the flute (his first instrument was the piano). We are witnessing a historic event in the Brazilian music. In the near future we will look back in time and realize this. “Love is friendship put to music". 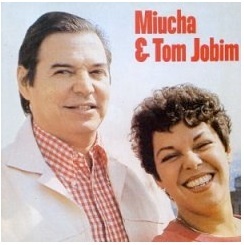 That's Miucha & Tom Jobim. There are nine songs that earn the title, classic cuts. 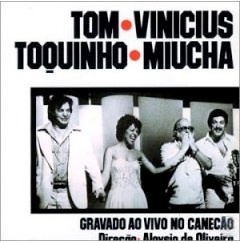 Triste Alegria written by Miucha will perk things up; Falando de Amor by Tom Jobim is the perfect Love Song. Artists lending their vocals and a hypnotic arrangement accentuated by bird calls! Wow! It revels in some of the World's finest recordings! This is Miucha, featuring the very special guests Pablo Milanes at track 01 - Buenos Dias America and Miucha's daughter Bebel Gilberto, track 06 - Saudosismo (Caetano Veloso). Highlights the overall music quality, the repertoire selection, arrangements and Miucha singing, which is really awesome. "Solitude" is in different mood (no wordplay) compared to the other tracks of the album. This piano and voice rendition of Duke Ellington's standard was recorded in New York City with pianist Albert Dailey and with the legendary electronic music pioneer Wendy Carlos as sound engineer. 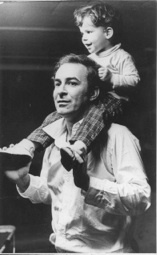 Albert Dailey played the piano in all tracks of "The Best of Two Worlds" (1976), the second Stan Getz / João Gilberto album with Miucha. 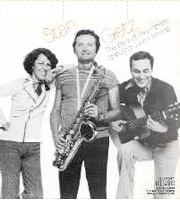 Actually, he played a lot with Stan Getz in the mid-70s. 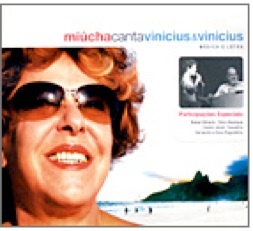 A beautiful new album from Miucha -- the lovely bossa singer. 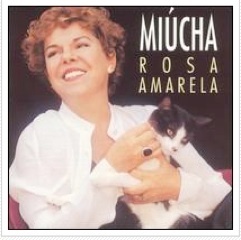 Miúcha’s choice of repertoire is, as always, impeccable. So are her interpretations. She tips her hat to several sacred monsters with whom she’d been closely associated—Vinicius, who was an intimate friend of her father’s, Tom Jobim, her brother Chico—but the songs she selects are never the obvious ones. 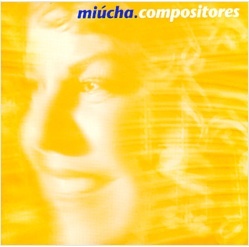 The album's with Miucha in the lead as a sophisticated, mature singer -- working through a set of tracks that features tunes by some of Brazil's greatest composers -- Edu Lobo, Joao Donato, and others. Titles include "Voce Voce", "A Dor A Mais", "Vento Levou", "Refem Da Solidao", "Tempo De Amar", "Solidao", "Cor De Cinza", "Pode Ir", "Fox E Trote", and "Cancao Inedita". It was the atmosphere of a party, sure, throughout the five weeks of recording in the studio in Copacabana. “We laughed, cried and drank a little: after all, it was in honor of Vinicius”, said Miúcha. The party, the studio, even had an altar in tribute to the “Poetinha”, with a photo, table, bottle of whiskey and, sometimes, a rose. Now the party is yours too. 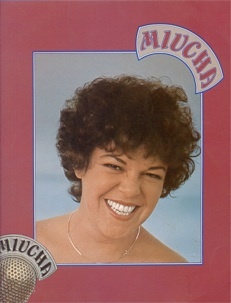 Lovely work from 70s bossa diva Miucha -- singing here in a style that opens up nicely from the older years -- not just a copycat of her classics, but a really fresh approach to the music! There's certainly a bossa element at work here, but there's also some other jazzy styles too, more warm and intimate. Most numbers have a strong lead piano alongside Miucha's vocals, and arrangements are by Cristovao Bastos, Leandro Braga, Paulo Jobim, and Itamar Assiere. Titles include "Olha Maria", "Gente Humilde", "Desalento", "Outros Sonhos", "Voce Vai Ver", "Chansong", "Quanto Tu Passas Por Mim", and "Anos Dourados".